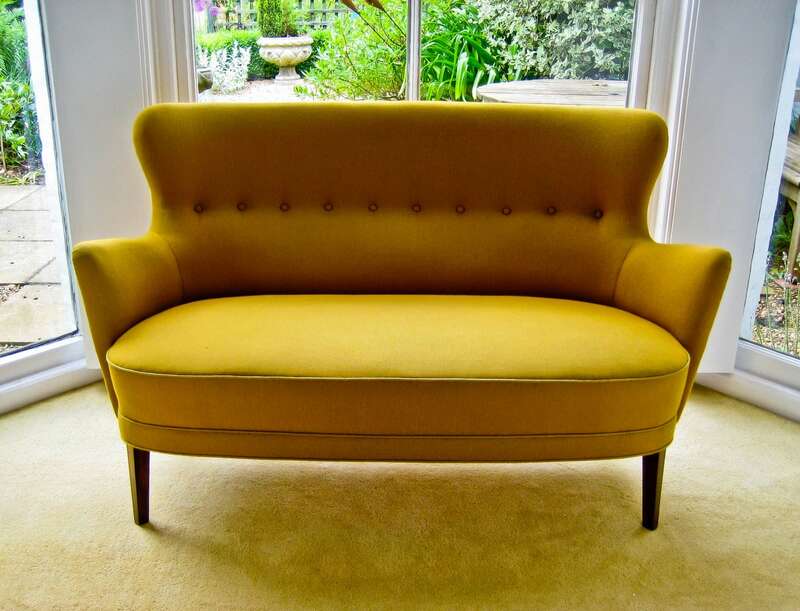 A high backed Danish design two seater mid century sofa with buttton back yellow wool upholstery on stained beech legs, all in an excellent condition. 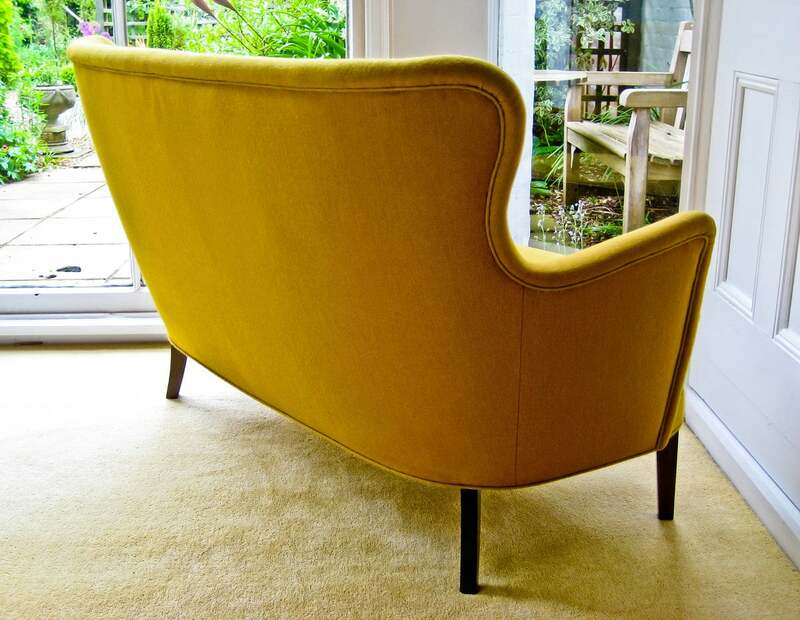 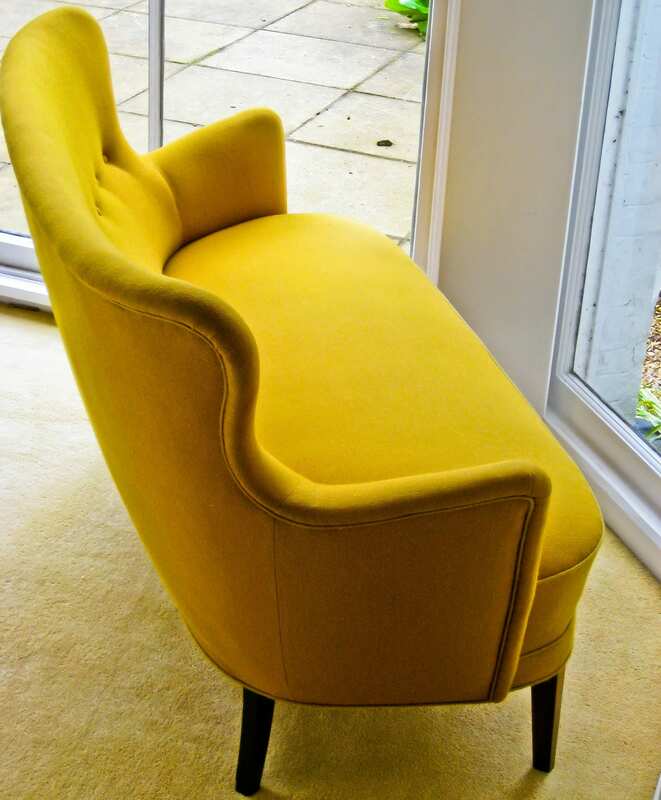 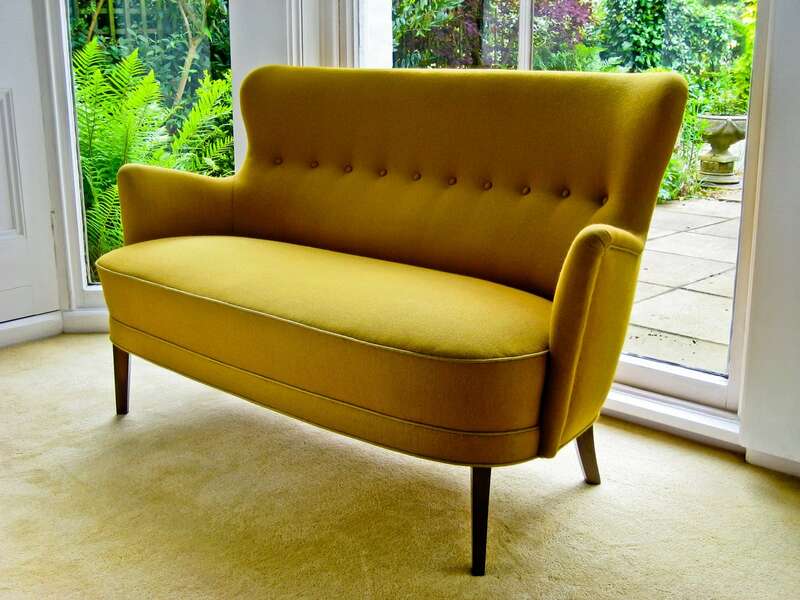 A smart piece of Danish design, a nice high backed small two seater sofa in its original yellow wool upholstery that would look great in any interior. 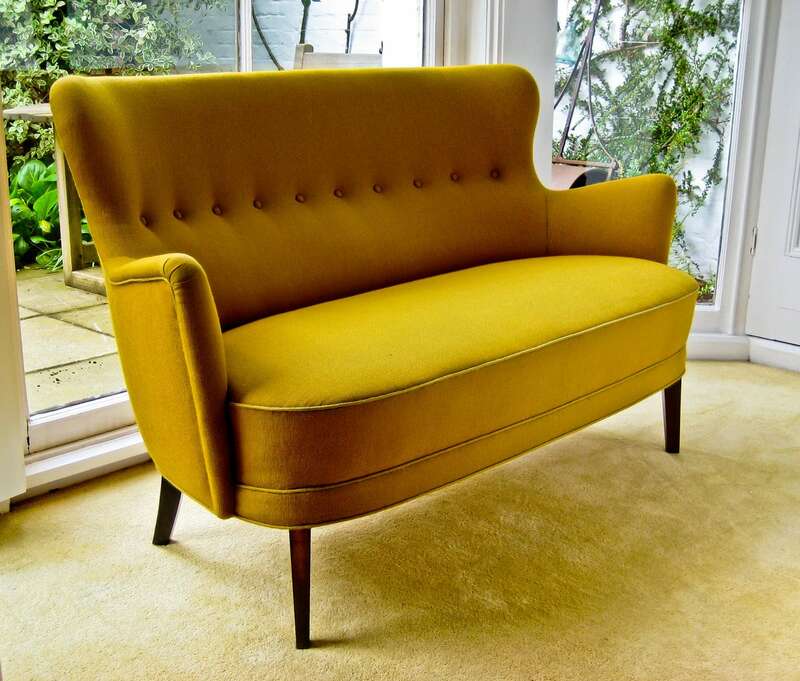 A really beautiful mid century sofa.